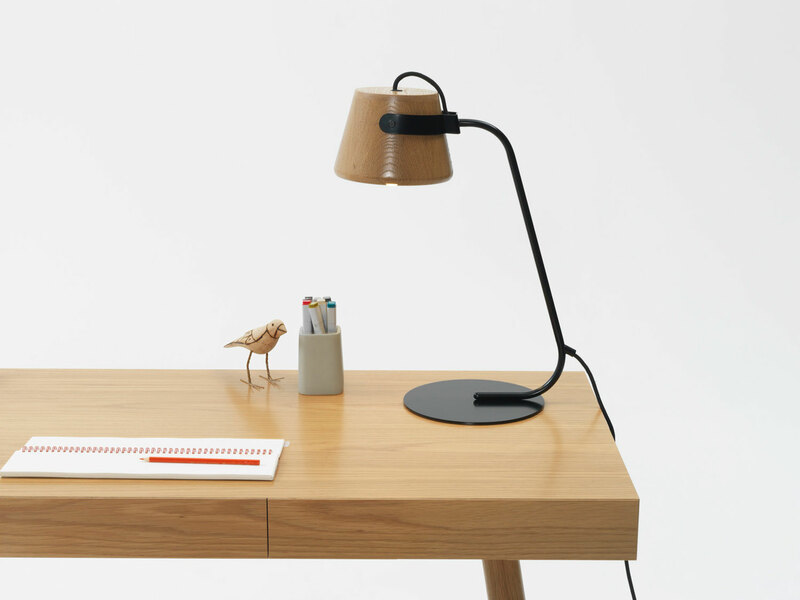 Australian Design News September 2014 | Yellowtrace. Yellowtrace Spotlight // September 2014. 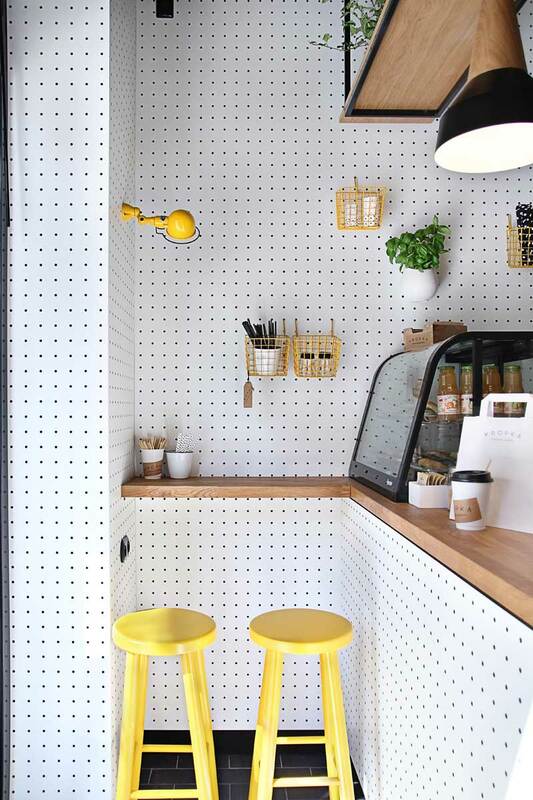 It’s the first Monday of the month, and that can only mean one thing – it’s time for the September edition of Australian Design News and best submissions in the past month, also know as Yellowtrace Spotlight. Somethings you can read about – TUCKBOX have released their very first furniture collection, a beautifully hand crafted table from Modern Times & Adam Markowitz, Jardan’s 2014/15 furniture collection, a handmade rolled-porcelain ceiling light from Studio Ham, Catapult Design’s brand new Sydney Showroom in Darlinghurst, two amazing interior projects + upcoming exhibitions in Sydney and Canberra… Seriously, there’s so much to talk about this month, we better get started! 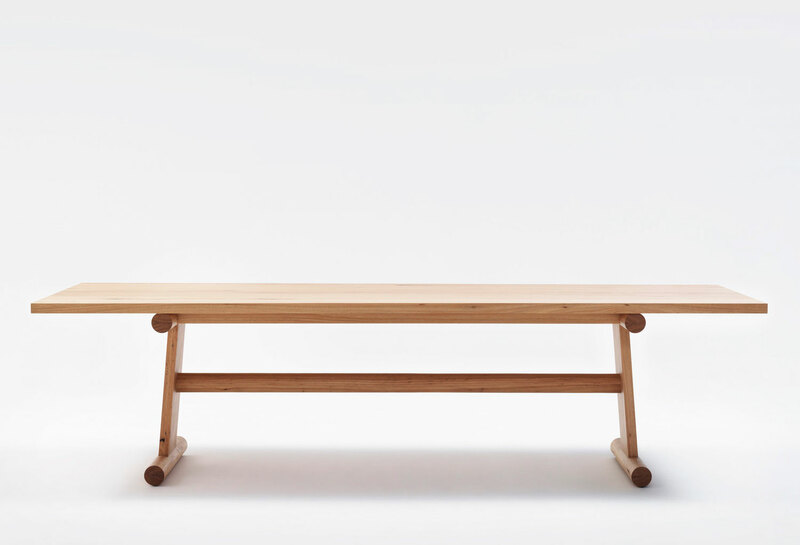 “Hans J. Wegner – Master Modernist Icon” Exhibition at Nishi Gallery, Canberra. “Master Modernist Icon”is a retrospective exhibition celebrating the 100th birthday anniversary of Danish furniture by designer Hans J. Wegner, presented by Designcraft. 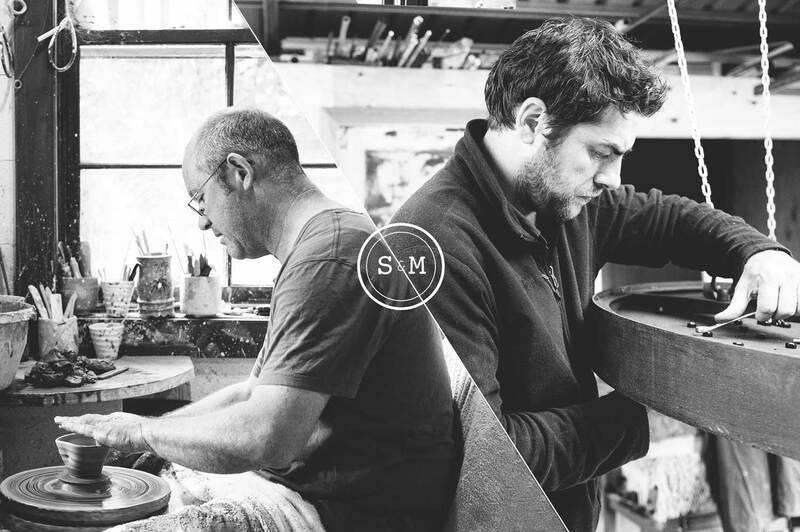 To help mark this significant occasion, Designcraft also introduces “Maker+Designer”, a parallel exhibit showcasing Australian designers and makers including Jon Goulder, Henry Wilson, Niklavs Rubenis and Kate Stokes, plus works from other new talent. 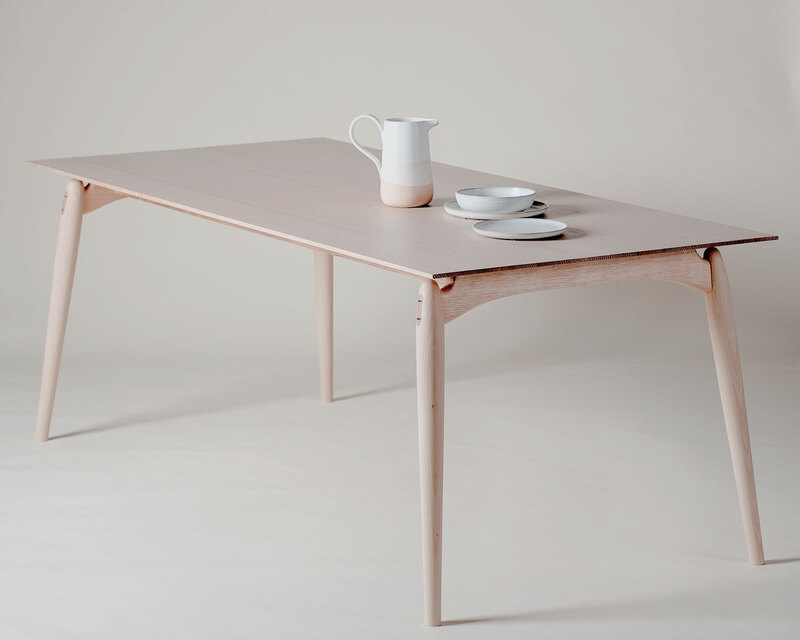 Fred Table by Modern Times & Adam Markowitz. 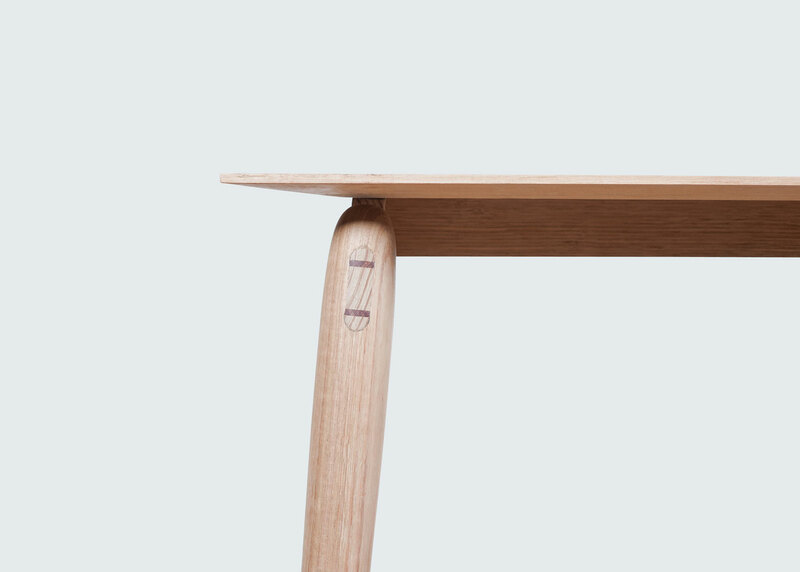 Stocked exclusively at Modern Times, ‘Fred’ has been designed, handcrafted and finished within a three-kilometre radius of the shop’s Fitzroy home. 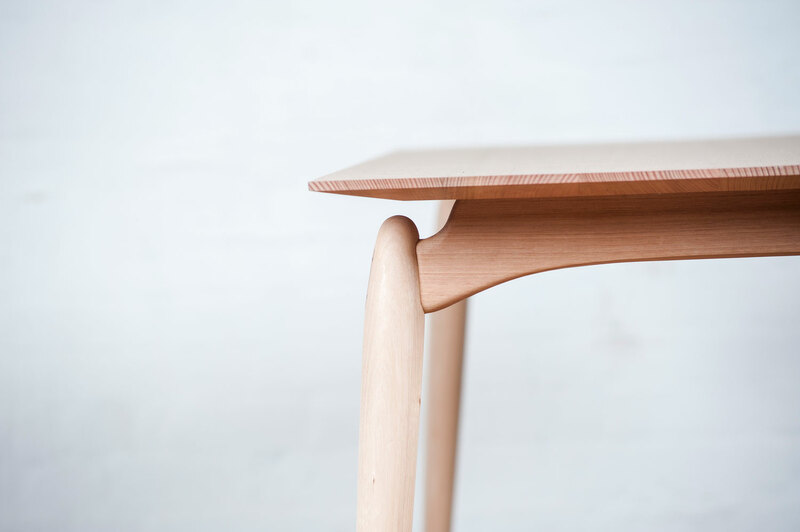 Thanks to it’s solid-timber construction and traditional joinery, ‘Fred’ is light and yet strong—marrying a Scandinavian design sensibility with the best of sustainable Australian timber. Fred. A mongrel. A crossbreed. He’s got a regal look. Some say there’s royal blood in him. Viking blood. Bit of a wild streak. Still, there’s a good bit of Tassie in there too. Keeps his feet on the ground. Previous work by Adam Markowitz featured on Yellowtrace: Object Future II // Future of Australian Design on Show in Melbourne. 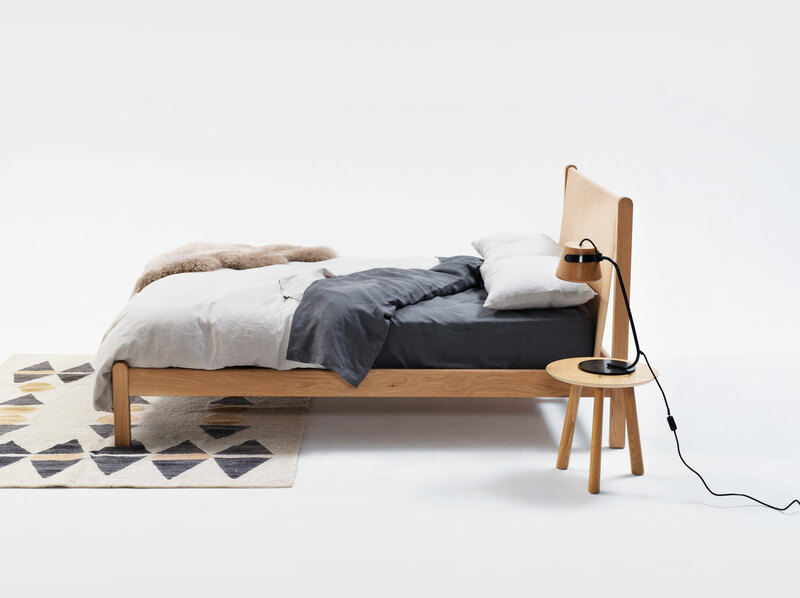 ‘Klein’ Furniture Collection by TUCKBOX Design. 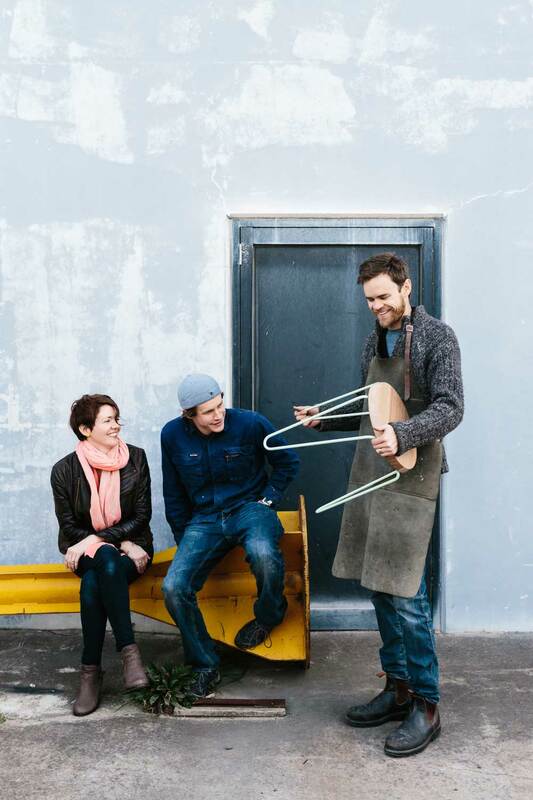 TUCKBOX launch their very first furniture collection, representing the journey of it’s designer and maker, Dan de Groot, from a cool design office in London to a dusty shed full of timber, steel and old machinery in Melbourne’s North. Each piece of furniture that bares the TUCKBOX label is born from a love of making, and marrying thoughtful design with considered creation. Responding to increasingly compact urban environments, the ‘Klein’ collection is designed to work in smaller spaces, be stackable and transport easily. Photography by Tara Pearce & Stephanie Stamatis. 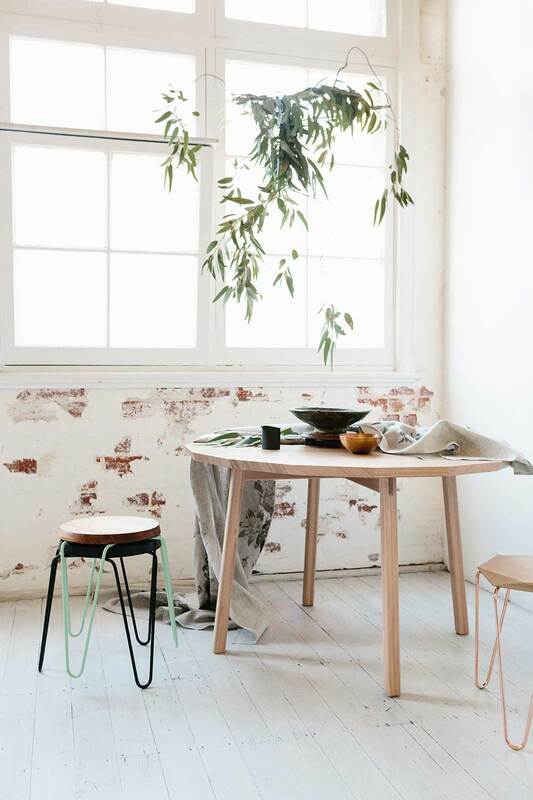 Jardan’s 2014/15 collection; designed and crafted in Melbourne by Jardan Lab, combines hand crafted elements with pure forms – expresses the true nature of the raw material. 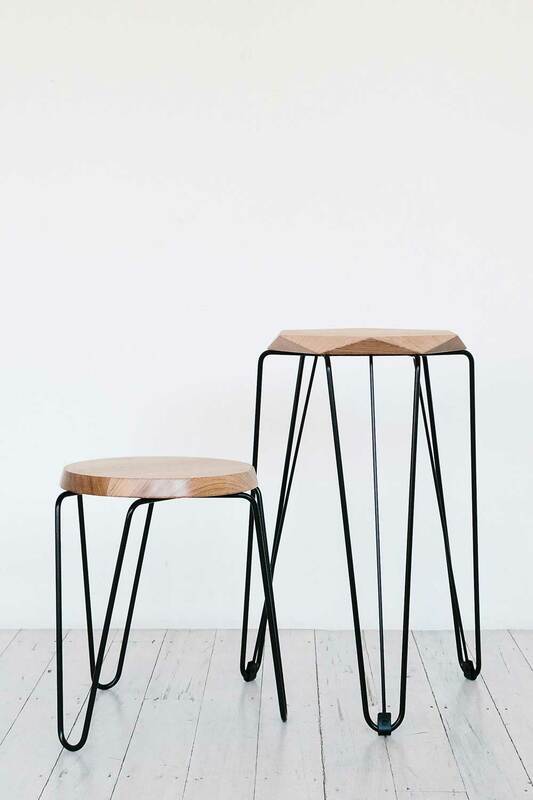 Finished with natural oil, their latest timber pieces give each item a beautifully tactile finish. Plat du jour, New Light by Studio Ham. 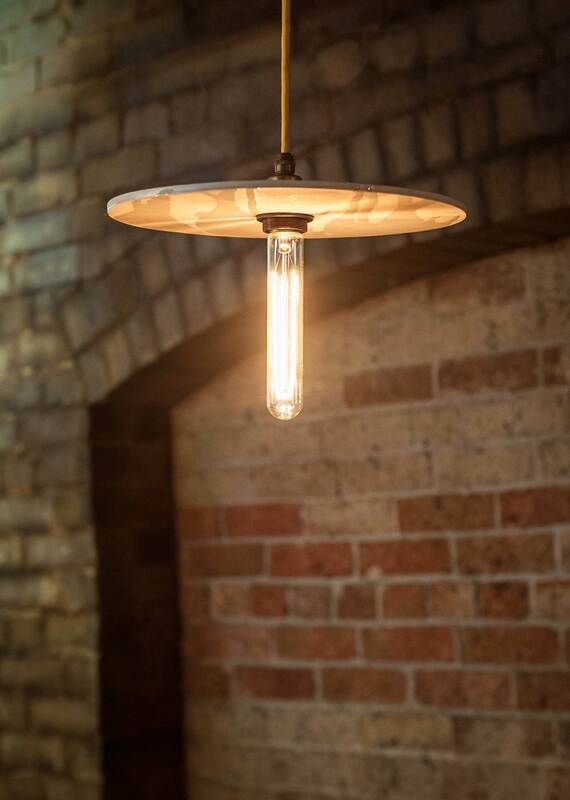 This tasty, handmade rolled-porcelain plate ceiling light comes in a range of unique flavours, with your choice of bulb and coloured-cloth electrical cord to create a warm and intimate glow. New Bed by Megan Morton & Incy Interiors. 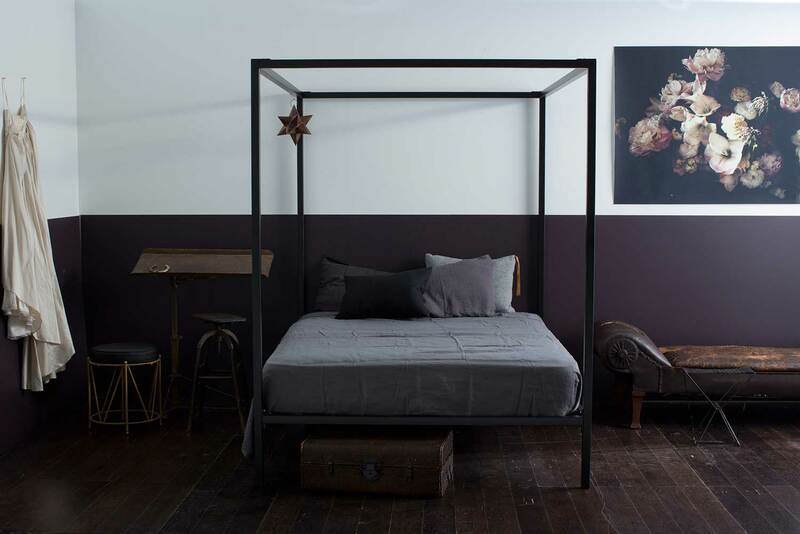 The familiar antique look of a traditional four-poster bed has been given a modern makeover by Megan Morton & Incy Interiors. 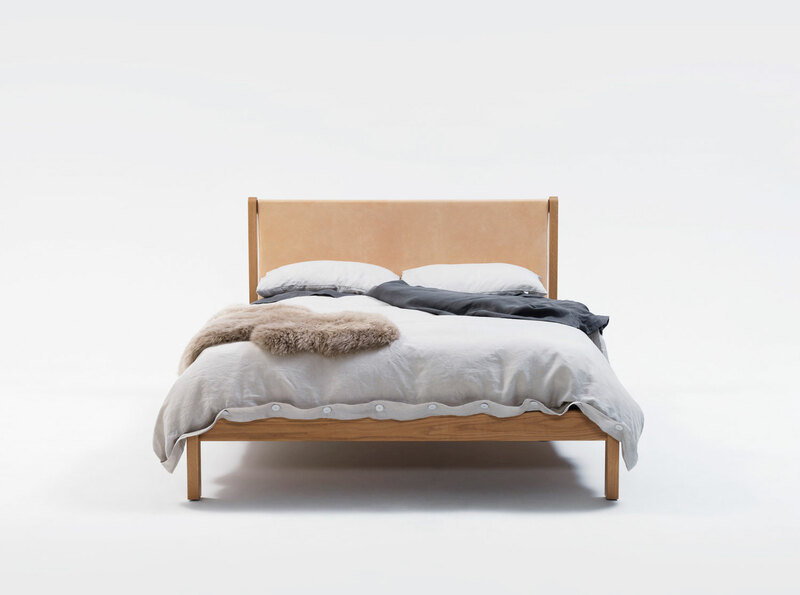 The new bed range is a simplistic metal design, complete with a matte finish in your choice of black or creamy white. “It’s simplistic lines and neutral tones will complement rooms with both classic and modern designs.” – Incy Interiors. 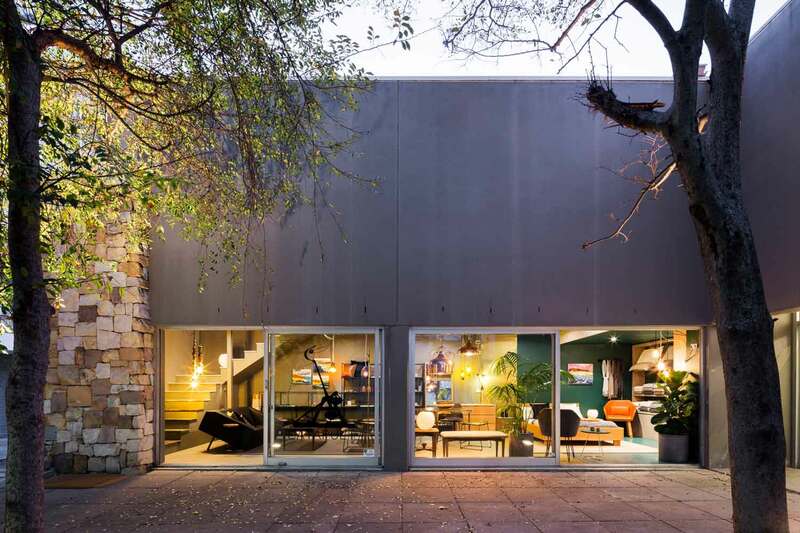 Catapult Design Opens Sydney Showroom. 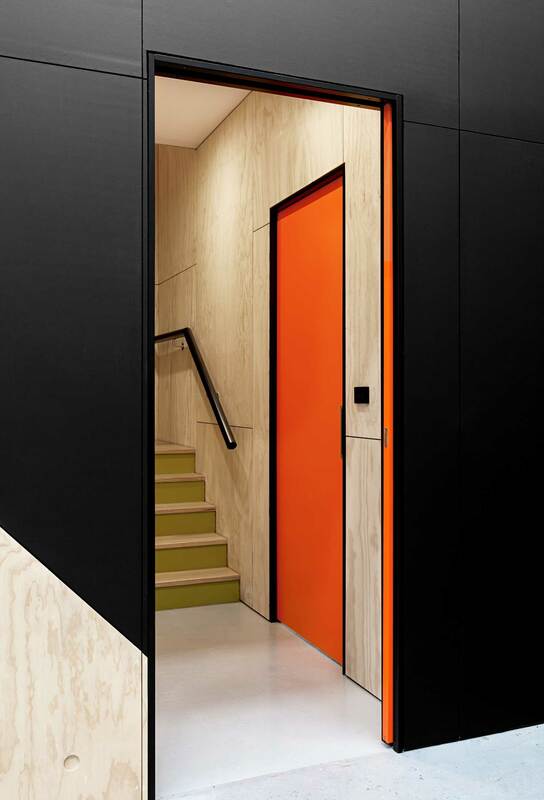 The Catapult Design flagship showroom opened last month in Darlinghurst, Sydney. 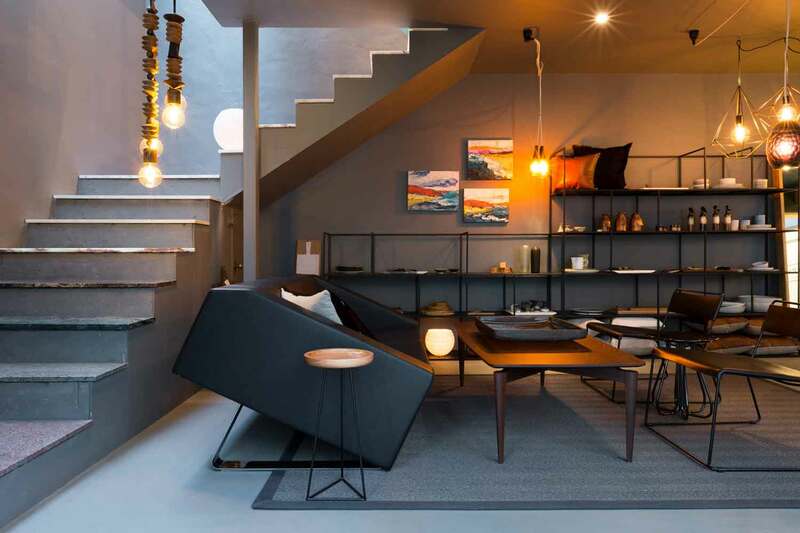 The showroom features two floors filled with furniture, lighting and accessories. ‘It isn’t the size that counts, it’s what you do with it!’ explains Catapult director Leigh Johnson. The showroom will feature a constantly rotating selection, highlighting the range on offer, and incorporating new products and designers as Catapult continues to expand. Warehouse Conversion by Doherty Design Studio. 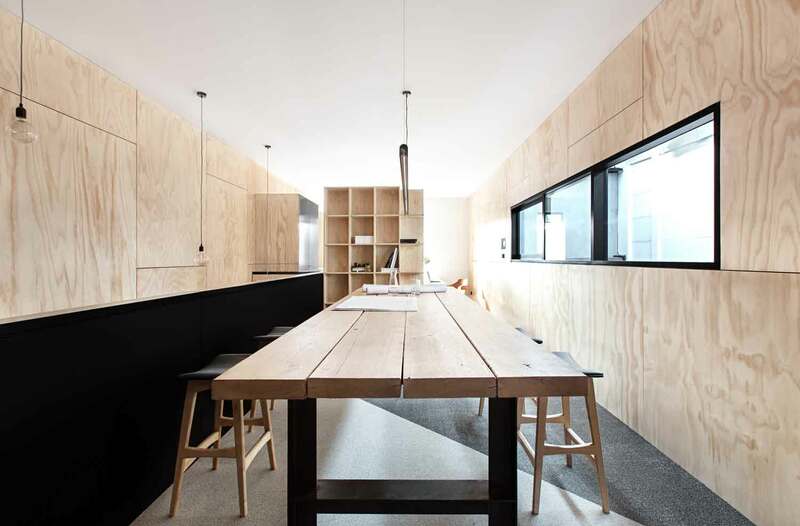 Doherty Design Studio renovated a warehouse with a ground floor area of 171sqm into a high-performing space for building company Mil Constructions. 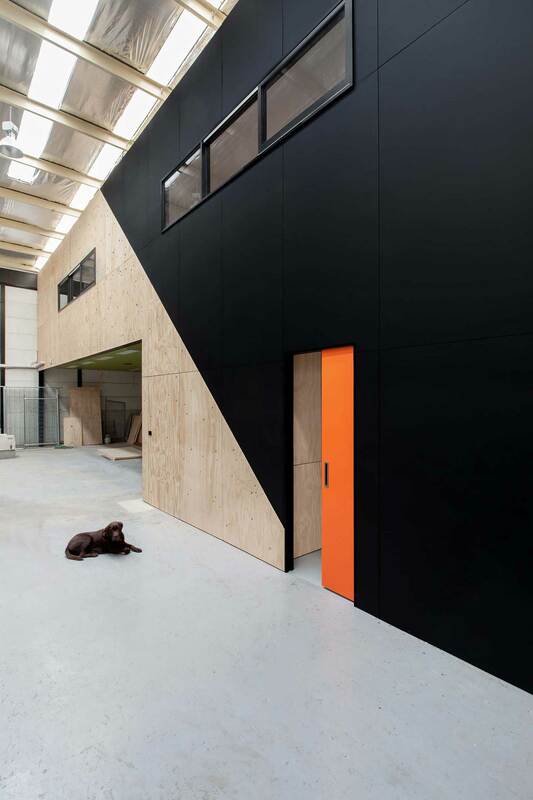 The space includes a reception, workshop, storage area and an office/ meeting room area. 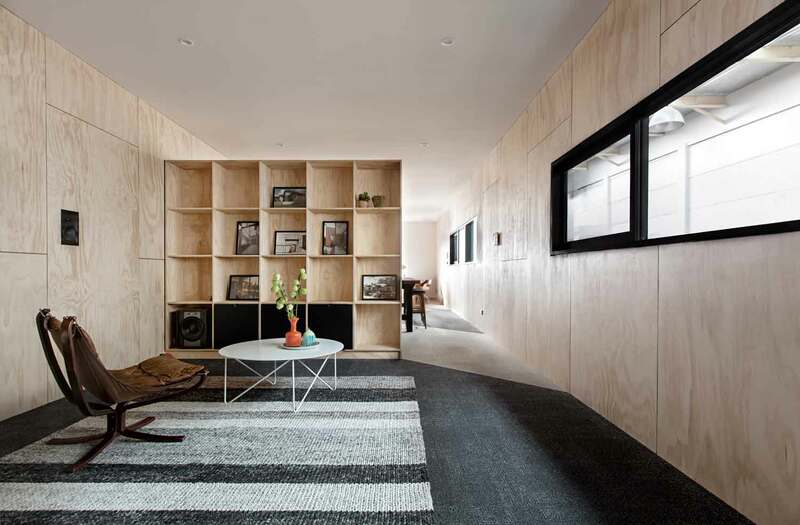 Solid walls have not been used to delineate different spaces – instead Doherty Design have maximised storage by dividing spaces with shelving units. 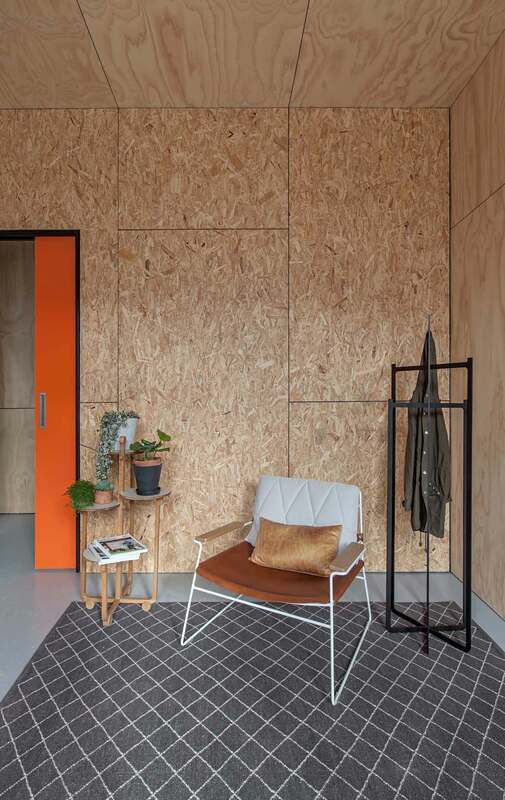 A basic palette of raw and painted ply panels, OSB board, painted concrete, carpet tiles and exposed light bulbs were used in creative ways to express a raw aesthetic and the utilitarian materials that are commonly found in a builder’s workshop. 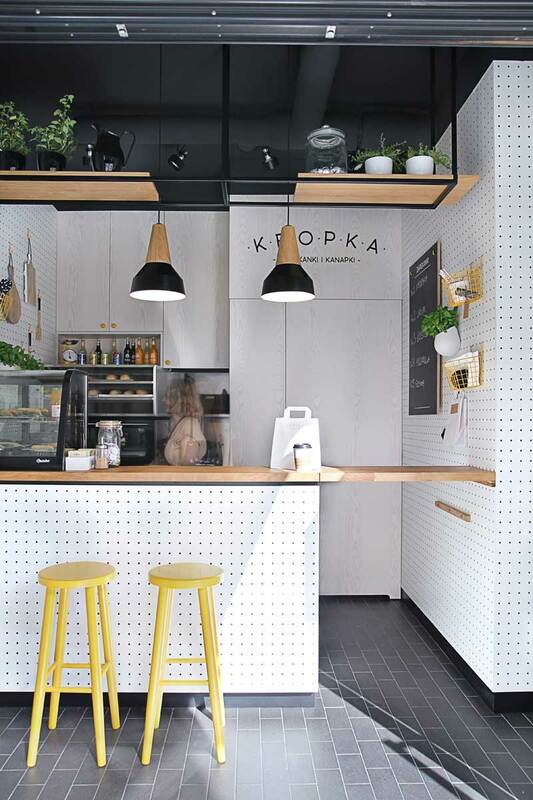 Kropka, Tiny Snack Bar in Poland by PB/Studio and Filip Kozarski. 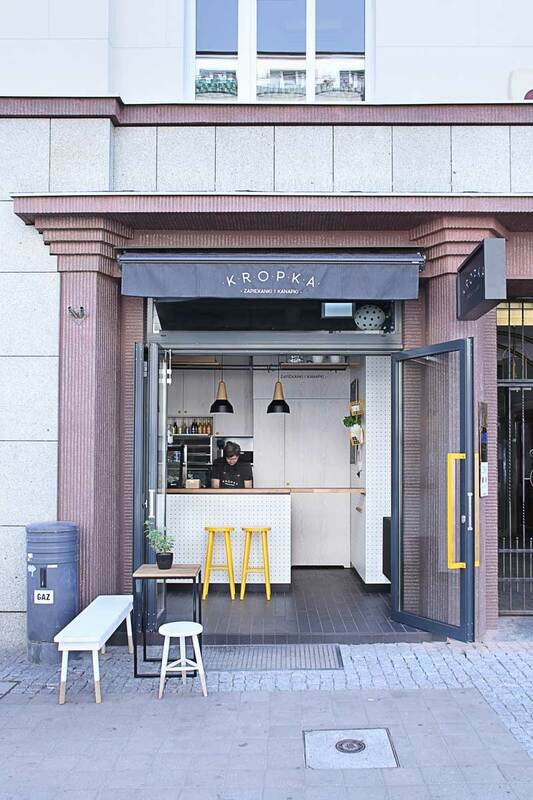 ‘Kropka’ is a micro-size lunch spot in Gdynia, Poland, serving home-made sandwiches, also known as Zapiekanki, and various kinds of pastries. 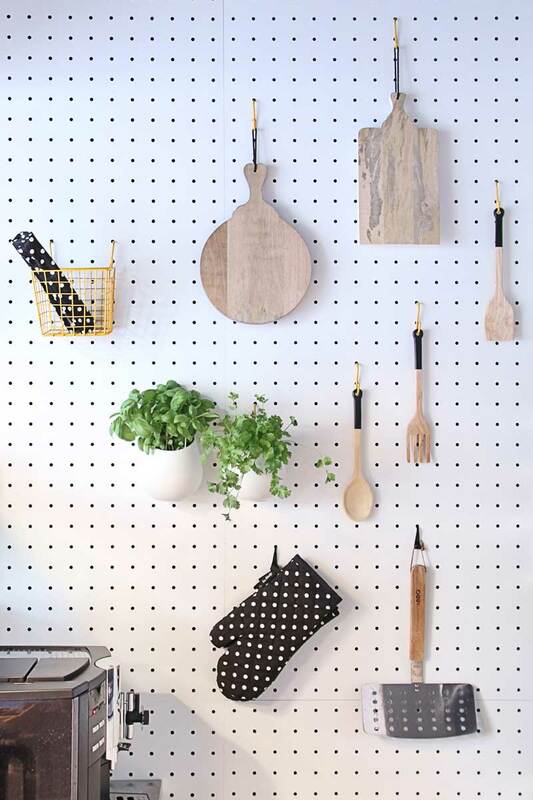 Being such a small space, the designers maximised the space by turning it into a cute white shop with workshop pegboards to hang kitchen equipment. The storefront can completely open up, enabling a larger area for customers to sit inside and out. The Launch of ‘The Lab’ Art Gallery by Art Pharmacy. 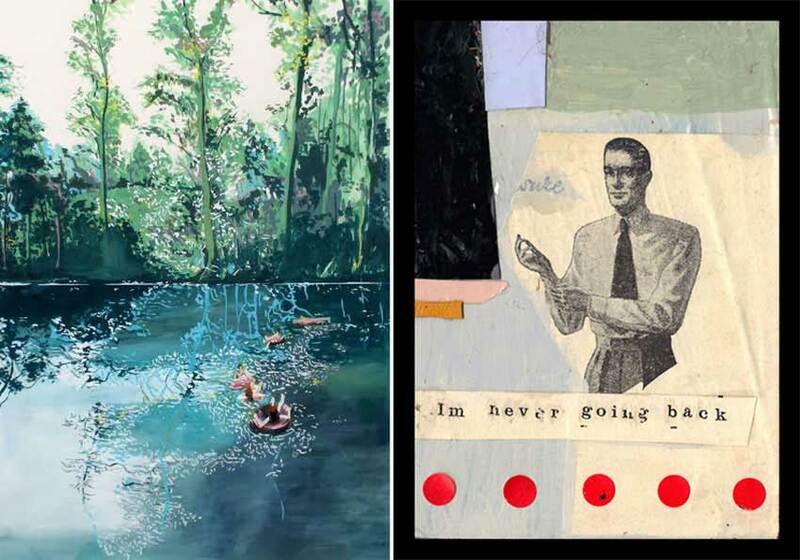 On Thursday 4th September the Art Pharmacy partners with the 2014 Sydney Fringe Festival to host its fifth consecutive show, The Lab – an interactive gallery space which will house a selling exhibition of undiscovered contemporary art. 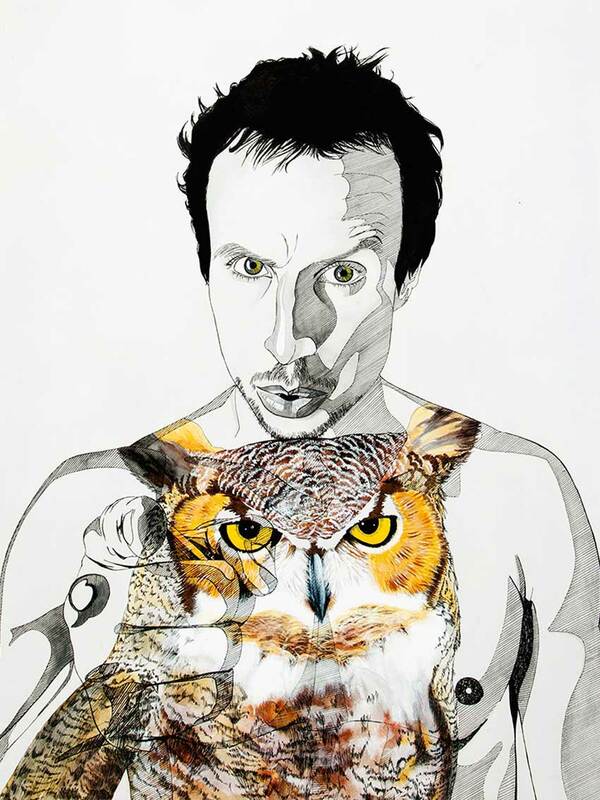 The exhibition will feature a range of original works from painters, photographers, illustrators, print makers and sculptors. The Lab is set to become a cultural hub for novice art collectors with 60+ handmade pieces showcased across three floors. Glorious Heritage Apartment Interiors by Regis Larroque // Paris. #YellowtraceTravels // Gucci Museum Florence.